Seth MacFarlane claims he hasn't slept well in five months since taking on the job to host the Oscars in Hollywood today. 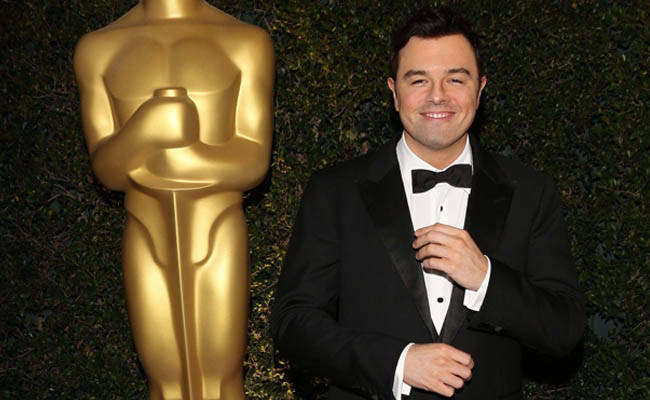 Seth MacFarlane claims his pre-Oscars nerves have made him an insomniac. The Family Guy creator—who is hosting the 85th annual Academy Awards for the first time today at the Dolby Theatre in Hollywood—has revealed he hasn't slept well in five months since taking on the high profile job and compared his preparation to cramming for an exam. He told E! News: "It's the same way you prep for the SATs. There's no prep, except get a good night's sleep. I haven't had good night's sleep in five months." Seth previously revealed that he doesn't think he will be asked back to host the event next year and tipped this year's Golden Globes hosts Tina Fey and Amy Poehler to take over the job despite it being such a big commitment. Asked whether they had given him any advice following their success as award show hosts earlier this month, he said: "Quit while you're ahead." The funnyman previously revealed he had "no reservations" about taking on the presenting job until after he accepted it. He said: "Oddly, I had no reservations. Subsequently, the thought crossed my mind maybe I am in over my head. But we've all worked so hard on this program. If this thing tanks, it won't be for lack of preparation. I will have put five months of work into this." The 39-year-old star, who is dating Game of Thrones actress Emilia Clarke, 24, is planning to sing and dance during the ceremony, which will also include performances by Adele, Catherine Zeta-Jones, Hugh Jackman, Anne Hathaway, Barbara Streisand and Norah Jones.